December 2015 Circus Geeks performed at the Lansdown pub in Bristol for a special Christmas show. Circus Geeks do Christmas will be taking place in a cosy room upstairs at The Lansdown. You can expect a warm welcome into this bijou venue with a healthy dose of festive cheer, suspiciously contrived Christmas routines and, of course, jaw dropping skills. 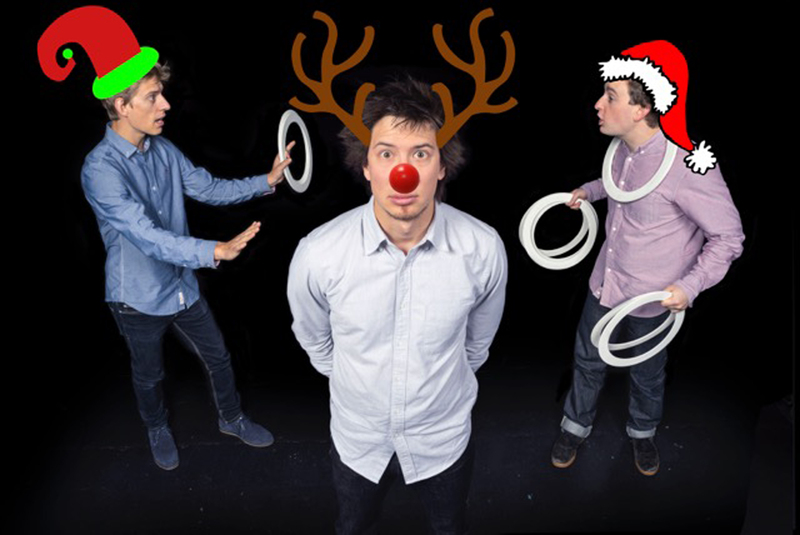 Circus Geeks do Christmas will be on a limited 5 show run from the 19th to the 22nd December 2015 and with a capacity of only 50 per show this intimate and exclusive show should be top of your list for an alternative Christmas show this December.